Nina Wadia first came to prominence in the sketch show Goodness Gracious Me, playing characters such as Mrs "I can make it at home for nothing!" and one half of The Competitive Mothers. She took over from her Goodness Gracious Me co-star Meera Syal, in the role of Rupinder in the sitcom All About Me. In 2007, Wadia was cast as Zainab Masood in the long-running British soap opera Eastenders. She played this character until 2013. Wadia has also made several guest appearances in various British comedies and dramas, such as The Vicar of Dibley, Thin Ice Chambers, Doctors and Holby City. She was also a regular presenter on the ITV topical chat show Loose Women. 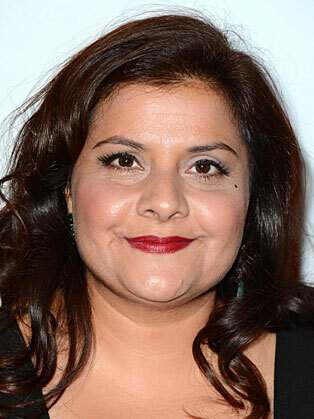 Nina Wadia won “Best Comedy Performance” at the 2009 British Soap Awards. Additionally she won 'Best Onscreen Partnership' at the same awards ceremony for her onscreen relationship with Nitin Ganatra. In 2004 she won the Chairman's Award at the Asian Women awards. In April 2013 she was awarded with the Outstanding Achievement in Television Award at The Asian Awards.